Moroni 9 contains a letter from Mormon, written to his son Moroni, which describes the spiritual decline of their people.1 Although Mormon never said when he wrote this letter, it may be possible to identify its historical context and the approximate date of its composition by comparing its details with Mormon’s own record.2 In particular, it appears that the contents of Mormon’s letter correlate with the historical events and spiritual themes found in Mormon 4, 5, and 6. In his letter, Mormon stated, “I have had a sore battle with the Lamanites, in which we did not conquer” and in which “we have lost a great number of our choice men” (Moroni 9:2). This battle likely took place during a series of Nephite retreats and losses reported in Mormon 5:3–7, which occurred after Mormon resumed his command of the Nephite armies. In Moroni 9:4–5, Mormon mentioned that the Nephites had “harden[ed] their hearts” against the word of God and that “so exceedingly do they anger that it seemeth me that they have no fear of death; and they have lost their love, one towards another.” Likewise, in Mormon 4 we learn that “every heart was hardened” (v. 11) and that the Nephites “did go against the Lamanites with exceedingly great anger” (v. 15). In each case, a desire for “revenge” was a strong motivating factor (see Moroni 9:5; cf. Mormon 4:15). Mormon’s report of a “sore battle” also likely dates his letter to no later than the year 380. This is because after 380 no more battles were reported and the Nephites began to gather at Cumorah for their final conflict (see Mormon 5:6–6:5). Mormon counseled Moroni to continue to labor with the people (Moroni 9:6). This may reflect Mormon’s personal decision to repent of his oath and again lead the Nephites in battle in the year 375 (Mormon 5:1). 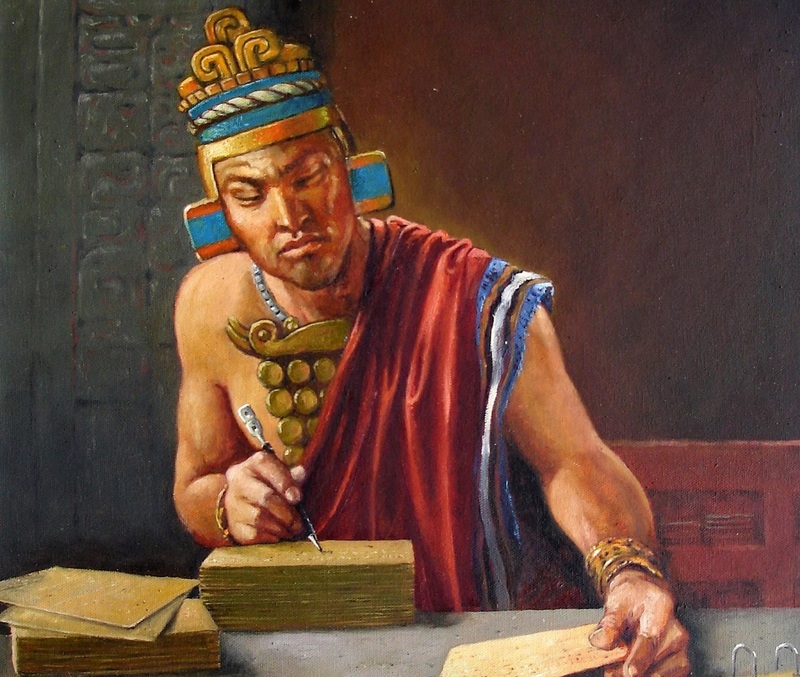 Mormon’s concern about his people’s utter destruction, as well as his comments about Nephites deserting to the Lamanite army (Moroni 9:3, 22–24), suggest that the Nephites were in the final stages of their struggle against the Lamanites. This, again, fits a time frame of 375–380 very well. The above analysis indicates that Mormon’s letter was composed in a real historical setting which can be reliably approximated through a careful reading of the text. This type of internal consistency and realism provides a subtle evidence of the Book of Mormon’s historical authenticity.8 Mormon was a real person engaged in a terrible military conflict, and his personal letter to his son reflects the horrific circumstances of a specific period of his life and of Nephite history. Yet, despite his terrible grief, Mormon’s hope for a brighter future shines through. Joseph M. Spencer, “On the Dating of Moroni 8–9,” Interpreter: A Journal of Mormon Scripture 22 (2016): 131–148. Alan C. Miner, “A Chronological Setting for the Epistles of Mormon to Moroni,” Journal of Book of Mormon Studies 3, no 2. (1994): 94–113. A series of conflicts at the north-south border. Nephites begin a war of aggression. 1. Moroni also recorded another letter from his father, found in Moroni 8. See Book of Mormon Central, “Why Did Moroni Include Mormon’s Condemnation of Infant Baptism? (Moroni 8:12),” KnoWhy 253 (December 15, 2016). 2. For studies on the chronology of this letter, as well as Mormon’s letter found in Moroni 8, see Sidney B. Sperry, Book of Mormon Compendium (Salt Lake City, UT: Bookcraft, 1975), 491; Alan C. Miner, “A Chronological Setting for the Epistles of Mormon to Moroni,” Journal of Book of Mormon Studies 3, no 2. (1994): 94–113; Joseph M. Spencer, “On the Dating of Moroni 8–9,” Interpreter: A Journal of Mormon Scripture 22 (2016): 131–148. 3. Mormon 4:21: “And when they had come the second time, the Nephites were driven and slaughtered with an exceedingly great slaughter; their women and their children were again sacrificed unto idols.” See also, Book of Mormon Central, “Why Did the Lamanites Sacrifice Women and Children to Idols? (Mormon 4:4),” KnoWhy 229 (November 11, 2016). 4. After the destruction at Cumorah, Moroni wrote that the Lamanites “put to death every Nephite that will not deny the Christ” (Moroni 1:2). This suggests that denying Christ was necessary for the Nephites to join the Lamanites. 5. For information about the Hill Cumorah, see Book of Mormon Central, “Where Did the Book of Mormon Happen? (2 Nephi 1:8),” KnoWhy 431 (May 18, 2018); “How Are Oliver Cowdery’s Messenger and Advocate Letters to Be Understood and Used? (Mormon 6:6),” KnoWhy 453 (July 26, 2018); “Who Was Zelph? (Helaman 6:6),” KnoWhy 336 (July 7, 2017); “How Could So Many People Have Died at the Battle of Cumorah? (Mormon 6:14),” KnoWhy 231 (November 15, 2016). 6. Mormon refused to lead the Nephites between the years 362–375 (Mormon 3:11; 5:1). Only Nephite victories are record for the battles that took place between 359–362 (Mormon 3:7–8). And before that, there were ten years of peace between 350–359 (v. 1). This means that there are no references to lost battles between the years 350–375 in which Mormon could have fought. And any losing battle before the year 350 would seem far too removed from the other details of Mormon’s letter for it to be plausibly referenced. For the importance of the 10 years of peace, see Book of Mormon Central, “Why is the 10-Year Peace Treaty Important? (Mormon 3:1),” KnoWhy 228 (November 10, 2016). 7. Although the Book of Mormon was likely part of the “sacred records” to which Mormon was referring, this assumption isn’t certain. It’s possible, for example, that Mormon may have kept the plates of the Book of Mormon with him (not at Shim) so he could work on finishing it before his people were destroyed. 8. For more on the Book of Mormon’s complexity and consistency, see Book of Mormon Central, “Evidences of the Book of Mormon: Internal Complexity,” online at bookofmormoncentral.org. 9. See “The Family: A Proclamation to the World,” Ensign, November 1995, online at lds.org. 10. See Book of Mormon Central, “How Can the Book of Mormon Survivors Give Us Hope? (Mormon 8:3),” KnoWhy 393 (December 26, 2017). 11. This chart is adapted, with a few changes to dates and descriptions, from Spencer, “On the Dating of Moroni 8–9,” 136–138.